LONDON — Four men arrested on suspicion of being members of a banned neo-Nazi group were serving in the British army, authorities confirmed Tuesday. Membership or inviting support for National Action is a criminal offence in the U.K. and carries a sentence of up to 10 years imprisonment. The West Midlands Counterterrorism Unit said Tuesday it had arrested four people on suspicion of preparing terrorism acts. The force said the men were detained as part of a "pre-planned and intelligence-led" operation and there was "no threat to the public's safety." Britain's Ministry of Defense later confirmed the men were army members. The arrests were made in the cities of Birmingham, Ipswich and Northampton as well as in Powys, Wales. National Action last year became the first far-right group to be outlawed in Britain. 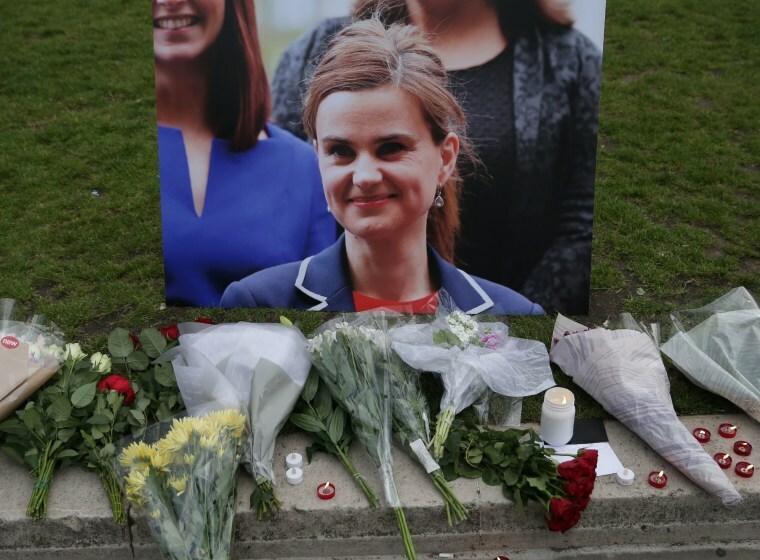 The group had praised the killing of politician Jo Cox. Last month, a senior police chief said the number of referrals to the authorities about suspected right-wing extremists had doubled since the lawmaker's murder. Cox was killed in June 2016 by a loner obsessed with Nazis and white supremacist ideology.